JYJ’s Hero Jaejooong himself explained his run of rumors of romance with Japan’s top stars. Jaejoong recently confessed in the interview with Daily Sports about the rumors of dating Hamasaki Ayumi and another top model and actress, simply as is (T/N: literally, “without adding or subtracting”). Nonetheless, the two were mired in a scandal last October. That is because Ayumi purposefully visited Korea in order to watch Jaejoong’s Showcase Performance despite her busy schedule. Jaejoong explained: “At the time, Ayumi and another of my Japanese artist friend (kindly) visited me. I thought that it was a friendship as between musicians. Also, last January Ayumi has even made a surprise announcement of marriage.” Ayumi has revealed through Twitter that she has married with an actor of Austrian descent. ayu_19980408 reply: I didn’t mean it that way. It’s simple because he’s really cute, but to me, he’s only a young junior. As a known fan of Tohoshinki, on the 12th of October, Hamasaki Ayumi (32) visited Tohoshinki’s Jejung (24), Yuchun (24) and Junsu’s (23) at thier comeback live under the name “JYJ”. 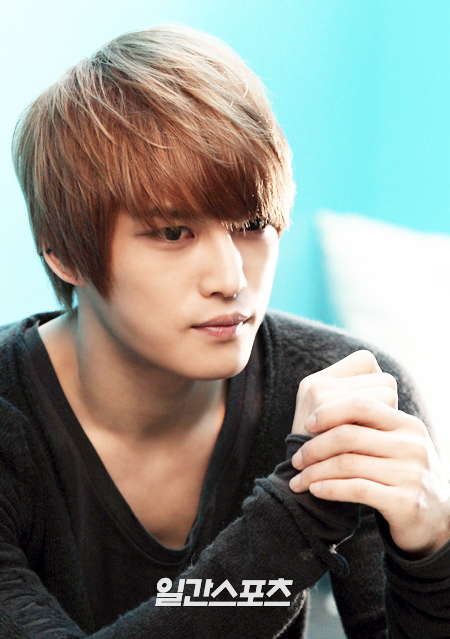 Amongst the three in JYJ, Ayu had said that Jejung, who had appeared in her own PV, was special. It was on the next day, the 13th, that Ayu arrived back in Japan at night. Jejung, for the Thailand live, was aboard a plane on the 14th at 8pm. To Ayu, it was worth the overnight trip just to meet Jejung. However, just past midnight on the 14th, Ayu appeared at a spa retreat in the city and was seen to be close with a tall, good looking man. The two of them were dressed in sweats and looked relaxed, as they disappeared into the same room. At that spa, the three private rooms are a luxurious space, each equipped with a massage counter, a sauna and a big bathtub. The two came out from the spa around 80 minutes later, at around 1:30am. They both got on the car that came to pick them up. That good-looking man had light brown flowing hair, piercing eyes and a sharp nose, and no matter how was viewed, it looked exactly like Jejung. The full version of the PV for Ayumi Hamasaki’s song “Blossom” where JaeJoong starred in is finally out! Click the link below to view the preview of Ayumi Hamasaki’s PV entitled “Blossom” wherein JaeJoong starred in. Ayumi Hamasaki meets Tohoshinki’s Jaejoong! Jaejoong will be participating in the PV of Ayumi Hamasaki’s ‘Blossom’ and this will be his first ever feature in another Japanese artist’s PV. This is a song with a melancholic melody yet lyrics which give hope and encourage people to look ahead. Ayumi Hamasaki expressed that ‘Even if I’m not part of it, I wanted to find someone who would be convincing and has good acting skills.’ She said that she had noticed Jaejoong’s talent from watching him act a long time ago. Jaejoong gladly accepted the invitation and will be playing the role of a young man who aspires to become an artist yet has his life taken away due to sickness. Jaejoong’s FujiTV drama ‘Sunao Ni Narenakute’ was broadcasted from April to June and it was his first ever role in a Japanese drama. Since then, he has received numerous invitations for roles in other television dramas. To further himself as an actor, Jaejoong is currently learning Kanji through watching film appreciation DVDs. The PV will be included in ‘Crossroad’, scheduled for release on September 22nd.